I wanted to share two photos I snapped recently. They both demonstrate interesting Bangkok street life improvisations. 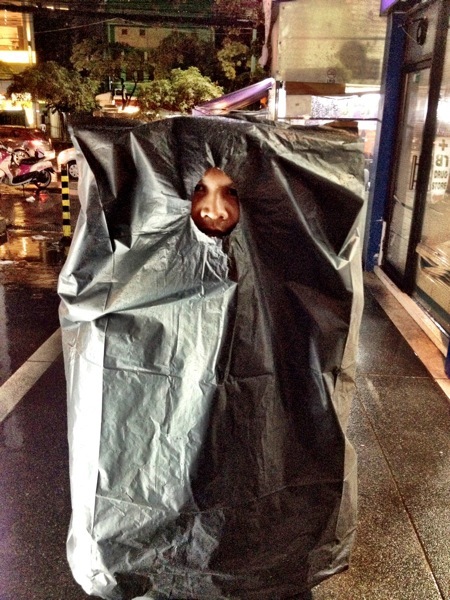 First: It’s the middle of rainy season here, so what do you do when you’re caught in an evening downpour without an umbrella? 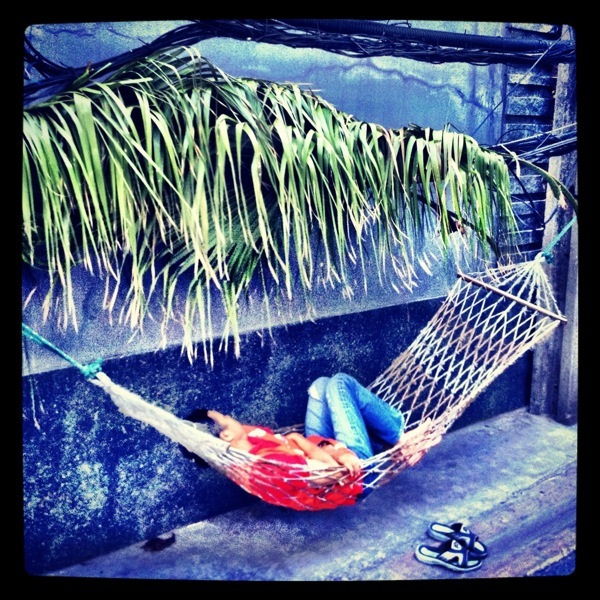 And second: What do you do if you’re a motorcycle taxi driver and your favorite hammock is getting too much mid-day sun?